The employee leaves your company on a high note. Though they may not work for your business anymore, retired employees can be referrals for great candidates. Word-of-mouth applicants can save your business time and money in recruitment and interview efforts, since they are personally referred by former employees you trust. 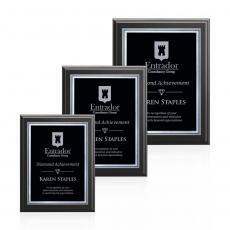 Award ceremonies improve sentiment throughout your business. Giving a retirement award shows your entire staff that you value loyalty and hard work at your business. A retirement celebration can help solidify your business reputation as one that is caring and invests in its employees, and it can boost the mood among your team. Retirement awards are great conversation pieces. 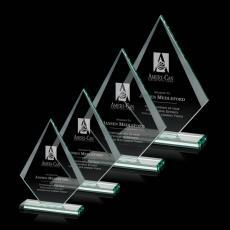 If you want to spread the word about your company in a way that is meaningful and cost-effective, retirement awards are multi-functional. Not only are you giving a token of your appreciation, but the retiree may show off the award to others or display it in a home, which serves as free marketing for your business. 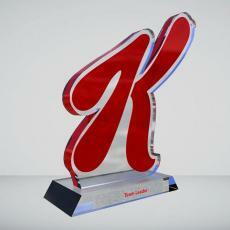 Don't let a retiring employee leave your company without a proper goodbye that includes a retirement award or gift. Here are some ideas for retirement awards that will be treasured for years to come. Depending on how the retiree appreciates being recognized, throwing a special event or dedicating time to a company-wide get-together for recognition is a great opportunity to give thanks to a retiring employee. For employees who don't enjoy being spotlighted in front of large groups, a small team gathering headed up by the manager may be more appropriate. You could host a team lunch or throw an after-hours party for the retiree and present them with a custom award that speaks to their personality. Or, if there is a big company-wide event at which you know the employee will be comfortable being recognized, that is a great time to convey to your business that dedicated work is valued. You might consider adding a quote to a retirement award that reflects the employee's work for your business, or penning a message that conveys heartfelt gratitude for how the retiree impacted your company. Give the retiring employee something that allows them to look back on their time with your company by creating a scrapbook featuring images and examples of their work for your business. Gather team photos, testimonials from clients, or images of examples of projects they worked on. If the retiring employee has been with your business for several years, you likely have lots of inspiration to pull from. Make the scrapbook even more meaningful by leaving pages blank for coworkers to sign special messages for the retiring employee. The retiree can refer back to the scrapbook whenever they want to think about the great times they had with your business. Create a digital memento by filming a video of gratitude from the retiring employee's co-workers. A video message montage is special because the personalities of the co-workers shines through when they're talking directly to the camera. A video also allows co-workers to speak freely from the heart, making the message genuine and memorable. Surprise the retiree by playing the video at a team event. Upload the video to an online storage service like Dropbox, so they can keep the raw file and share the video on their social media channels or play it whenever they want. Add a video bumper that displays your company logo, so if the video is shared publicly, viewers will see how much your company cares about its employees. For retirees who have worked with your company a significant amount of time, who have helped influence an integral part of your business, or who have made a contribution that has shaped your company, honor them with a lasting legacy by naming part of your office building after them. Recognition like this is something they'll always be proud of and can tell others about. Their name becomes a conversation starter for those who see it when they visit your business. When you go as far as featuring a retiring employee directly in your business environment, that acknowledgement can serve as a constant reminder to those who are currently working for your business that hard work is noticed, and that teamwork is essential to your company's success. When you're looking for retirement award ideas, Awards.com has thousands of stunning awards to choose from and even more endless options for custom award creations. 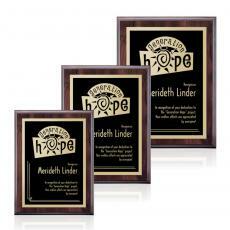 Shop all awards here, and create a custom award here.